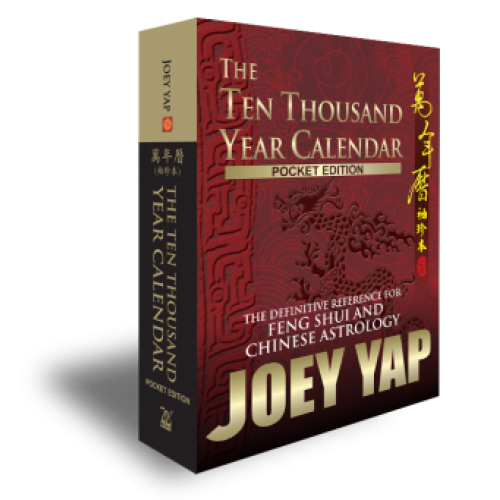 Losing none of the essential information from the regular Ten Thousand Year Calendar, this mini-sized edition is an indispensable resource for students and practitioners on-the-go. Lugging around big volumes is simply no longer a must, as you can whip this essential reference anytime, anywhere. Handy, informative and convenient - all in your pocket. 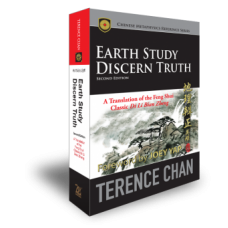 •Comprehensive references for Feng Shui, Chinese Astrology, and Yi Jing - such as Zi Wei Dou Shu (Purple Star) Astrology Reference Charts, BaZi (Four Pillars of Destiny) Heavenly Stems and Earthly Branches. Familiarise yourself with the concepts of Ying and Yang, The Five Elements and The 24 Seasons. All BaZi information on your fingertips as you pore on the 12 Earthly Branches, Hidden Stems reference, and Directional Five Elements Chart. This section contains the tables and reference guides for Zi Wei astrologers. 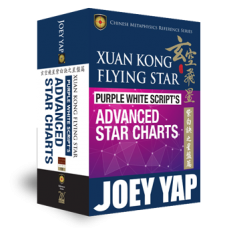 Also, learn how to plot Zi Wei Chart on your own. The He Tu, The Luo Shu, The 64 Hexagrams and together with other information are presented neatly with clear diagrams and charts. 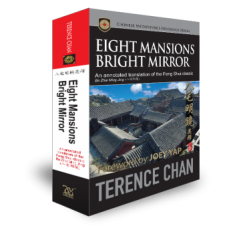 A go-to reference for serious Feng Shui practitioners. All the essentials you need for a comprehensive Feng Shui audit.